Give everyone at your event or office something they can remember you by. 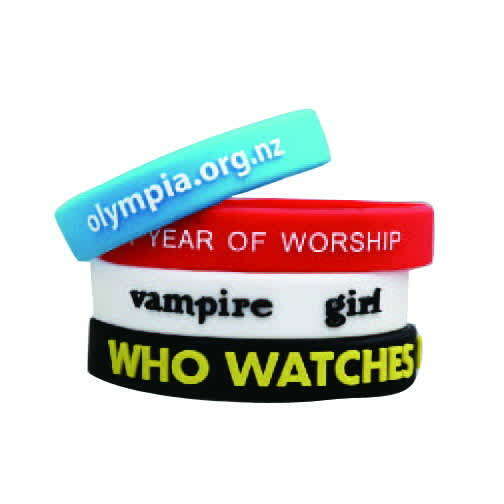 Our embossed wristband has your design popping out of the silicone for added texture. Fully customizable and available in any colour you want. No matter if you are a corporation or a non profit, you have put time and effort into your brand. Make sure everyone at the conference, or whoever visits your booth or office, does not forget you. 2 size options – adult and kids. 25mm width also available for an extra cost.